I really love all the Neal’s Yard products. They are natural organic health and beauty products supporting indigenous communities and using Carbon Neutral packaging acting sustainably and ethically to protect mother earth. A little known fact is that I am an Independent Neal’s Yard Remedies Consultant, and the reason I became one was to deepen my knowledge of their products and to help to spread the word on how effective natural, organic products can be. These are my Top 10 NYR products. I have used them and gifted them and I feel that never before have such natural and organic products felt so luxurious. You can click on each imaged to follow through to the NYR site and purchase, or please contact me if you would like to make an order and I can save you on the postage costs. Women’s Balance Aromatherapy Blend: My number 1 product that some of you are familiar with. I use it every day both on myself and my clients. It is my absolute go to, morning, noon and night. 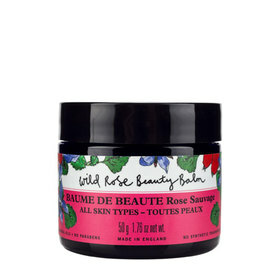 Wild Rose Beauty Balm: A multipurpose beauty must-have to help your skin glow with radiance. Loved by customers and beauty editors alike, our award-winning Wild Rose Beauty Balm is a one pot wonder for all skin types. With antioxidant-rich, organic wild rosehip oil and a balancing blend of organic geranium and patchouli essential oils, this cult favourite nourishes skin and enhances your skin’s radiance, for a natural glow. Almond Oil: This light oil is rich in Essential Fatty Acids and is a great all-purpose massage oil. Helping to soothe delicate skin and prevent moisture loss, it’s extremely mild and gentle enough for babies, children and people with sensitive skin. Obtained from the ripe seeds of the almond tree, this sweet smelling organic oil is cold-pressed to help retain its skin-conditioning properties. Lavender Essential Oil: This cleansing and refreshing oil is steam distilled from the flowers and leaves of French lavender. Naturally soothing, it’s calming for your body, mind and wellbeing. Frankinscense Intense Cream: Scientifically formulated with effective, certified organic ingredients, this intensively moisturising age-defying cream is clinically proven to reduce the appearance of fine lines and wrinkles – part of the first signs of ageing. With a 3-Peptide Complex, gardenia stem cells and an intensively moisturising blend of butters and oils, it helps smooth and plump skin, for results you’ll love. Enjoy a moment of mindfulness whilst applying, with the therapeutic aroma of frankincense. 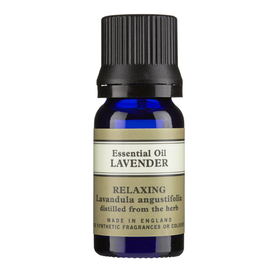 Night Time Aromatherapy Blend: This blend of grounding vetiver and relaxing lavender brings welcome relief when you find it difficult to relax and switch off. It will stop your mind whirring and give you a refreshing night’s sleep. 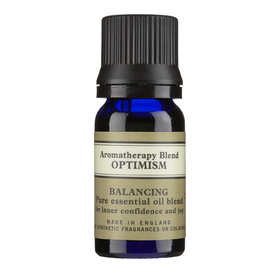 Optimism Aromatherapy Blend: This blend of jasmine and grapefruit will bring renewed optimism and faith into your life when dark mental clouds appear for no reason.This blend of jasmine and grapefruit will bring renewed optimism and faith into your life when dark mental clouds appear for no reason. Wild Rose Moisturising SPF 30 for Face: Moisturises skin throughout the day and helps to protect against damaging UVA/UVB light.With antioxidant-rich, organic wild rosehip seed oil and nourishing shea butter and baobab oil, as well as a balancing blend of organic geranium and patchouli essential oils, it keeps skin beautifully soft throughout the day. Aroma Diffuser Gift: This is a luxurious gift that takes out all the guesswork at Christmastime. Transform your home with this elegant bamboo diffuser and 100% pure essential oil blends to support your wellbeing. With calming and night time foaromatherapy blends, it fills your home with the healing power of botanicals for a feel good atmosphere. Comes with a simple aromatherapy guide written by our in-house experts. Baby Balm: Soften baby’s face, body and bottom with this 100% organic, AllergyCertified balm. A fragrance-free blend of soothing and nourishing shea butter and botanical oils, it’s perfect for baby’s delicate skin. If you would like to order these gifts or any of the products from the site, you can order directly off the site or you can order through me. I put through regular orders and can save you on the postage costs.